Ever wondered what those dark patches are on your face? You may have what’s known as melasma. It’s a common skin condition that, while not dangerous, can be an upsetting cosmetic problem. Here’s everything you need to know about the condition, including what it is, common triggers, and how to prevent triggers. First thing’s first, what exactly is melasma? It’s a common skin condition where brown and grey patches form on the skin, usually on the face. These patches are most common on the cheeks, forehead, nose bridge, and chin. Far more women get melasma than men, where every 9 in 10 individuals with the condition are female.¹ It’s also more common amongst darker-skinned individuals, like those of Latin or Hispanic, African-American, Asian, or Middle Eastern descent. The skin condition doesn’t cause any painful symptoms, like irritation or discomfort, but it can be visually bothersome. 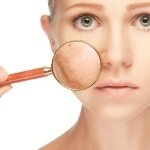 The cause of melasma is complex. The pigmentation is due to your melanocytes (a type of skin cell) over producing melanin, which is responsible for giving skin its color. There is a genetic component to it since people who have a family member with the condition are more likely to get it. On top of that, there are also different triggers that can set it off. The most common trigger of melasma is sun exposure. UV rays from the sun trigger the skin’s melanocytes to produce more melanin, forming the characteristic brown and grey patches. Because of this, melasma usually worsens in the summer and improves during the winter months, and can keep coming back. Another common trigger is hormonal changes. Melasma is more common among pregnant women. When it happens during pregnancy, it’s also called chloasma or, ‘the mask of pregnancy’. Hormonal drugs can also be a trigger, such as birth control pills and hormone replacement medicine. 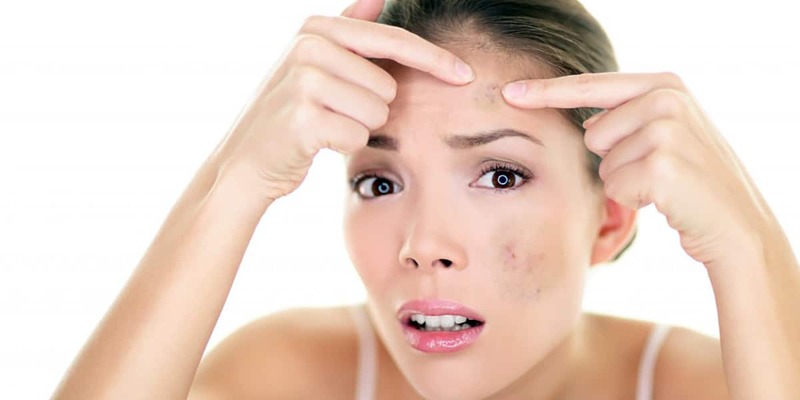 In addition, certain skincare products can also be a trigger for the skin condition. Although melasma can’t be completely cured, it can be controlled through preventative measures. First off, remember to choose gentle skincare products, since products that irritate the skin can also worsen it. It’s also recommended to avoid waxing any affected areas, since this can also cause skin inflammation and worsen the condition. Since one of the main triggers is sun exposure, it’s also important to be diligent about sun protection. Remember to always wear a broad-spectrum sunscreen with an SPF of at least 30. UV protective clothing, sunglasses, and a wide-brimmed hat are also good forms of sun protection. To stay protected in the sun, you can also use the free sun safety app, QSun. Available for iOS and Android, the app gives tailored sun safety recommendations, such as how long you can stay in the sun before getting a sunburn and how much sunscreen to apply based on how much skin you have exposed.